Affiliate notice: Curriculum and guides may be linked to a business which pays a small commission upon your purchase. Thank you for supporting Everything Charlotte Mason. Below are links to the many publishers of Charlotte Mason curricula and curriculum guides. All of them have in common the areas or perspectives unique to Charlotte Mason learning: the use of living books, a strong emphasis on nature studies, a joyful exposure to fine arts and handicrafts, and real-world, hands-on living math. Within those major areas, however, you will find a variety of book lists and learning resources. Some publishers may combine Charlotte Mason with classical studies. You certainly should feel comfortable making choices based on your own situation, preferences and budget. There is no “perfect” Charlotte Mason curriculum! The top of the list, below, features curriculum and curriculum guides. The lower portion of the list includes subject-specific curriculum and guides. A note on secular orientation: resources listed as “secular” may indicate either a specific publisher’s description of its works, or simply the absence of a stated, religious perspective on the publisher’s website. Everything Charlotte Mason strives to include all Charlotte Mason publishers here. Please send us your corrections or additions. Prices are accurate as of July 1, 2018, and may change without notice. A Gentle Feast – Family-oriented. 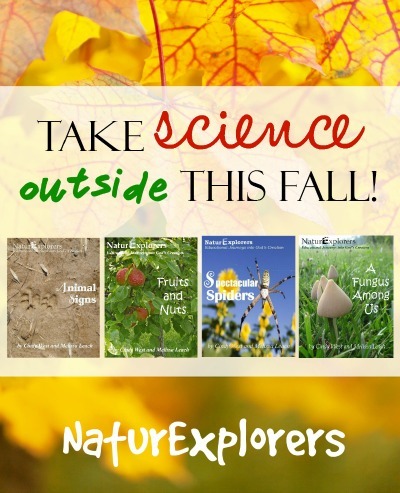 Purchase individually: packet; parent resources; and membership that includes online weekly lesson plans. Organized in color-code by year. Costs vary. Christian. A Mind in the Light – Living book and study guides organized by year. Includes teaching notes and forum. Cost varies. Secular. Ambleside Online – Comprehensive and detailed guide for all grades using free or low cost materials based on original Charlotte Mason schools. Weekly lesson plans and booklists available to download. Free. Christian. Build My Library – Emily Cook has built an all grades, living books curriculum guide, with weekly lesson plans, book lists, narration cards and Book of Centuries. Does not include math. $40 and up for yearly lesson plans. Secular. Charlotte Mason’s Alveary — Complete curriculum guide and book lists from Charlotte Mason Institute. Family subscription includes daily lessons plans, peer support and more, and helps support Charlotte Mason archives. $199 per year. Christian. Mater Amabilis — Pre-K to grade 8 Charlotte Mason-style curriculum guide for Catholics. Online syllabi organized by term. Encourages independent work by students. Free. Christian. Old-Fashioned Education — Full curriculum including weekly lesson plans and many links to additional public domain, online resources including some for Canada and the state of Virginia. Free. Christian. Teaching Children by Diane Lopez. Kindergarten through sixth grade curriculum guide, with reading lists, in one book. Includes explanations of Charlotte Mason philosophies and basic methods, as well as introduction and appendixes by Susan Schaeffer Macauley, author of For the Children’s Sake. Available from online resellers, $3 and up. Christian. Wildwood Curriculum — Charlotte Mason curriculum guide using modern books, currently through age 12. Includes term-based reading guide and resource lists for U.S. and Canadian educators (with some for India). Secular. Free. Barefoot Meandering — Publisher of Wayfarers history. Self-described as “classical Mason.” All grades. Costs vary. Secular. My Father’s World — Combination Charlotte Mason, classical and unit study. Costs vary. Christian. Heart of Dakota — Flexible and may be used with multiple ages. Costs vary. Christian. Living Books Curriculum — “Boxed” Charlotte Mason curriculum for each grade K-8. Supports education for children in orphanages in Africa. Costs vary. Christian. Moving Beyond the Page – Not specifically Charlotte Mason, but heavily project-based. Multiple intelligences. No conventional worksheets or tests. Costs vary. Secular. Simply Charlotte Mason — Whole family, “open and go” lessons plans, handicraft instructional videos, teacher instruction. Christian. Costs vary. Sonlight – All grades, pre-packaged or build your own. Payment plans available. Costs vary. Christian. Train Up a Child — Family-centered, in units of three grades each, option to design your own. Costs vary. Christian. Winter Promise – Classical, Charlotte Mason, multiple intelligences. Costs vary. Christian. Bright Ideas Press – Mystery of History plus science, geography, humanities. Costs vary. Christian. Brookdale House – History, Language Arts, Spanish, Geography through drawing, Handwriting, Bible. No science or math. Costs vary. Christian. Our Journey Westward – Guides for teaching Charlotte Mason, nature studies, grammar and more. Costs vary. Christian. Atelier – Complete homeschool or co-op art curriculum. Video based, kits available. Costs vary. Secular. Italics: Beautiful Handwriting for Children — Veteran Charlotte Mason educator, author and presenter Penny Gardner’s CM-friendly handwriting guide. Recommended by Charlotte Mason Institute. $10 per family. PDF. Getty-Dubay Italic Handwriting Series — Popular handwriting system that seamlessly moves children from print to cursive. Recommended by Charlotte Mason Institute. Costs vary. Secular. Zaner-Bloser Handwriting — Recommended by Diane Lopez in Teaching Children. Includes instruction in cursive. 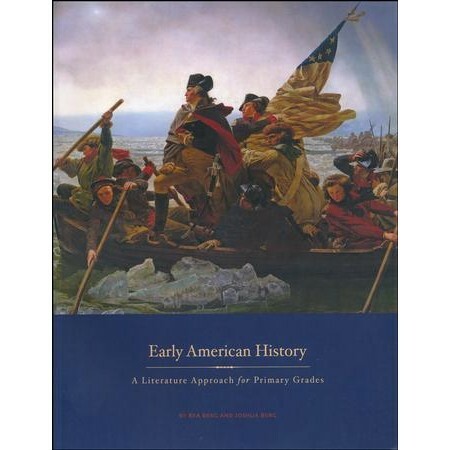 Upper grades contain samples using historical primary documents in new 2020 edition. Available though online homeschool resellers, such as Christianbook and Rainbow Resources. Costs vary. Secular. Beautiful Feet — Charlotte Mason-style history through literature. Costs vary. Christian. History in literature from Beautiful Feet Books. Blessed Heritage — Charlotte Mason history guides from an African-American viewpoint. Costs vary. Christian. Heritage History — Classical, living books covering major eras of history, along with study guides, downloadable online for all ages. Dozens of stories per guide. Free. Secular. Right Start Math – Motto is “helping children understand, apply and enjoy mathematics.” Heavy use of abacus and games. Cost varies. Secular. Swedish Drill Revisited – Physical therapist Dawn Duran adapts Swedish Drill for contemporary teachers and parents. Printable PDF. You can also see videos of Dawn’s children doing Swedish Drill on her blog. Secular. The Swedish Drill Teacher — Free e-book available for download from Simply Charlotte Mason. Originally published in 1910, you can read detailed instruction in Swedish Drill methods, as well as physical education philosophies and how they have changed over the past 100 years. Secular.